There’s only one thing better than receiving a lovely sweet treat, and that’s discovering it on a dull bank holiday weekend after you stashed it in the freezer a couple of weeks. 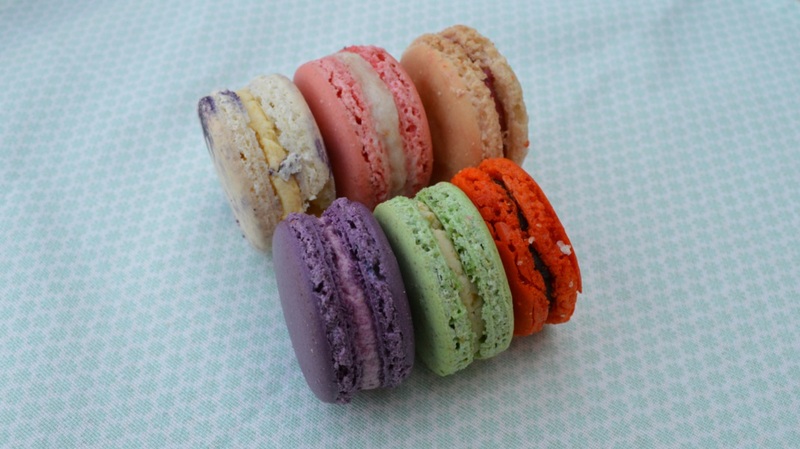 Look at these macaroons from Baked with Love in Manchester; just perfect. They arrived packaged with a ribbon round them just crying out to be handed to someone as a thank you / hostess / baby shower gift. 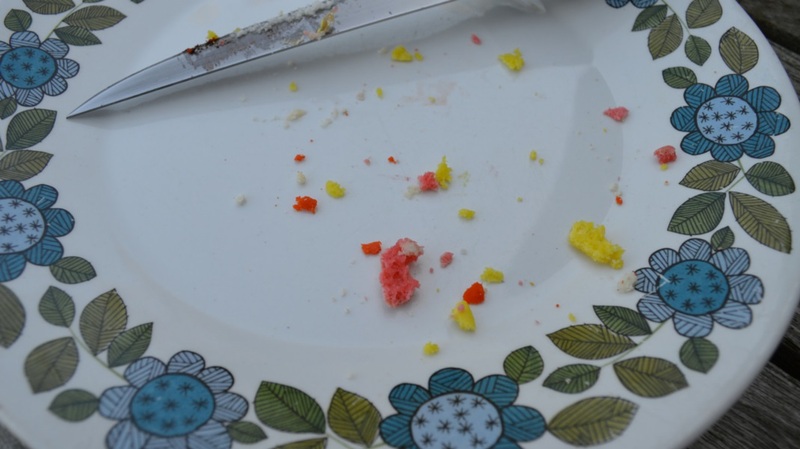 But noooo, I had to go and eat them all myself didn’t I! 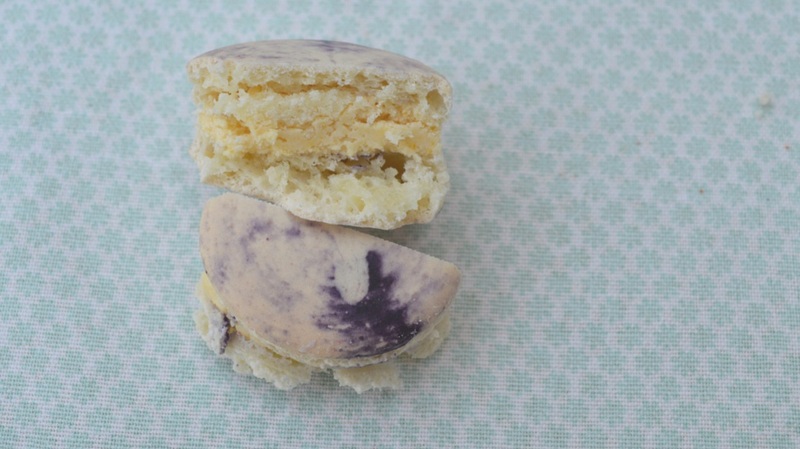 These are everything macaroons should be: delicate, subtle, light and delicious. The shells were crisp but gave way to a slightly chewy inner. The colours were, with a couple of exceptions, pretty traditionally pastel which I liked. And the flavours were on the whole subtle but enough that you knew what you were eating. Look at the layers of perfect in there! Breaking all rules of subtlety was the chocolate orange flavour. Screaming out of the box with its bright orange shell and chocolate ganache interior this was the flavour of a chocolate orange and none the worse for it! It was like the naughty little brother of the selection! I also liked the white chocolate and raspberry because there was good raspberry flavour and no white chocolate flavour! I wanted the blackcurrant to be sharper. I think this one was too subtle with the flavour. Salted caramel would be perfect for tea drinkers as I think it would go great with a cuppa, and my coconut loving husband said the tropical taste of the coconut one was his fave (I let him have the whole one I am that kind!). 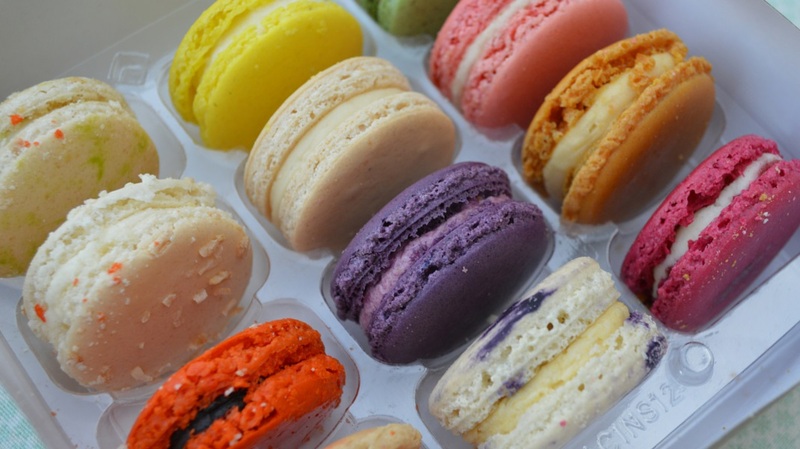 I like that macaroons are two bite wonders because they are small enough to snaffle several in one sitting if you like, but big enough to enjoy just one as a treat and feel you’ve had something delicious. They lost nothing for being lost in my freezer for a couple of weeks so my advice is buy them when you see them even if you don’t want to eat straight away. 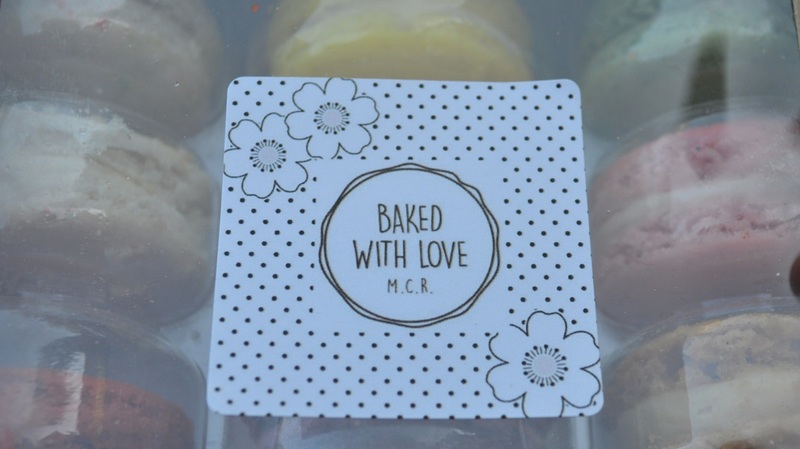 Baked With Love are based in Manchester and sell at Levenshume and other markets. They also sell via mail order and will cater for weddings and parties. Thanks to BWL for sending a box of goodies for me to try. 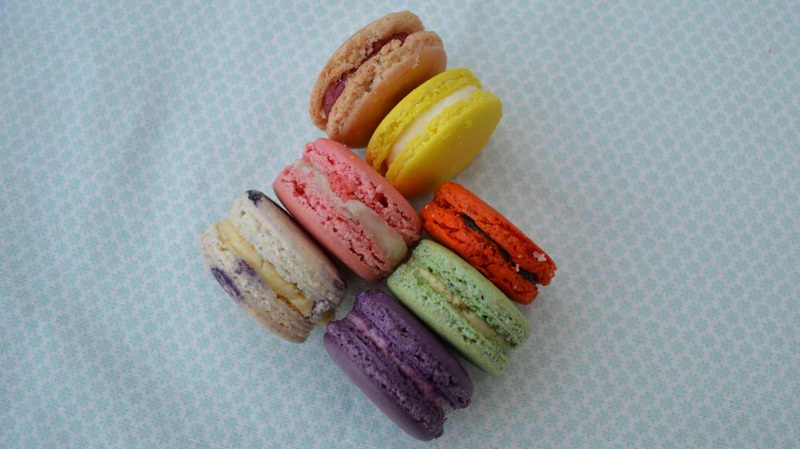 Macaroons by them, opinions by me.